I’ve noticed a trend in recent Sacrament Meetings that I’d like to bring to your attention. 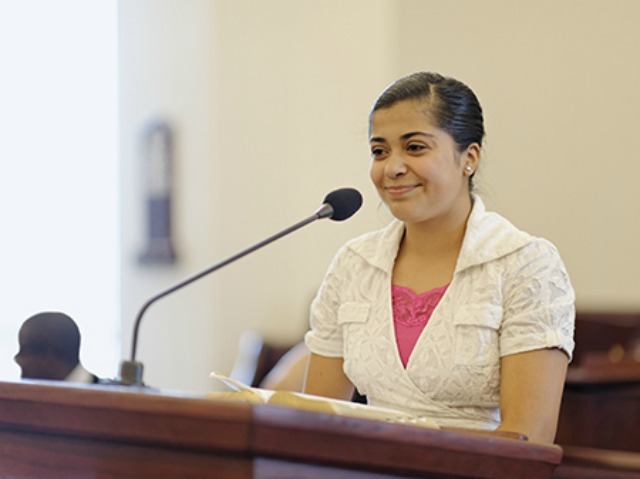 Since July, there have been 12 Sundays with assigned speakers in Sacrament Meeting. Seven of those Sundays (58%) have had exclusively male speakers for the adult talks. No Sundays since July have featured only adult women speakers. This means that we have heard from 20 men and only 5 women in the past 4+ months. A man has also been the concluding speaker on each of these Sundays save one. I realize not everyone notices or cares about things like this. I’m sure the scheduling was not malicious or deliberate. I am hesitant to send this email because it’s not my place to tell you how to run things. But as a woman who has always been and will always be presided over by male leadership, I’m asking you to please notice things like this. Church leaders like to say that women’s voices are important, but when there are literally four adult male speakers for every one adult female speaker, and when there is frequently a long row of suits up on the stand without a single skirt, I sure don’t feel like that’s true. I appreciate that you’re mixing things up by not just having married couples speak. I recognize that High Council Sundays often feature two men (though they’ve started bringing the female auxiliary presidents sometimes, which I’ve been thrilled about), so the speaker lineup hasn’t been entirely under your control, but I hope you’ll try to compensate for that with some all-female speaker lineups (that aren’t just the ward auxiliary presidencies, though I did enjoy those Sundays earlier this year). You each have a lot on your plate, and I appreciate the sacrifices you make and the work you do. Thank you for your consideration. For the next couple months, I noticed they were making an effort to include more women. One week, they even asked me and another woman to speak as the only adult speakers, and I was the concluding speaker. I was pleased about their efforts, but I still noticed some upsetting discrepancies. My husband spoke the week before I did, and he was invited in a text by a member of the bishopric and told to pick his own topic (which is standard operating procedure in my ward). When this same bishopric member called me the next week and asked me to speak, however, he gave me several topics to choose from and asked me what I thought about them. When I gave him noncommittal answers and said I’d probably incorporate a couple of those themes along with whatever I felt inspired to add, he continued to press me, wanting me to select a topic so he could approve it. He started giving me suggestions on how to write my talk (“When I write a talk, I usually look up my topic in the Topical Guide and see what scriptures I can find…”). I finally asked him whether he trusted me to speak at all. I told him that I knew how to write a talk, that I’m a very competent speaker, that I served a mission and was an MTC teacher. He seemed surprised and backpedaled uncomfortably. My husband, who’d been listening to the conversation from the next room, commented afterward on how differently we’d been treated by the same man asking us to do the same task just one week apart. It was especially frustrating to me because between me and my husband, I am the stronger speaker, and I enjoy it more. I just looked up the most recent few months of Sacrament Meeting speakers, and while the numbers are slightly better than they were when I wrote to my bishopric, women’s representation, at 33%, is still abysmal. Men spoke 20 times; women spoke 10 times. Men were the concluding speakers every Sunday except two. On Sundays when we hear only from men, I often find myself counting the number of suits lined up like chess pieces on the stand. There’s generally the three men in the bishopric, three priests at the Sacrament table (and, after they sit down, a deacon who sits next to the bishop for no discernible reason), a visiting member of the stake presidency, and the two-three male speakers. Women’s absence is so tangible that it’s a wonder to me that no one finds it remarkable: women are absent on the ward level, they’re absent at the general level, and they’re absent in the temple liturgy. When I don’t see myself represented at any level of church governance, what else can I conclude but that this is a church by men and for men? Pro Tip: Pay attention to women’s representation in your ward. Notice how many male vs. female speakers there are in your meetings, in General Conference, in the temple ceremony. Ask yourself what you can do to elevate women’s voices. I wrote more about this dynamic here. Thank you for noticing this, raising awareness for your bishopric, and sharing your data here. Growing up in the church, I generally felt that my existence was tolerated, but not necessary (and rarely genuinely appreciated). Yet even that was preferable to what happened literally the moment I was married, when I instantly became Sister Married-Adult-Female. I had surrendered my family name, my individual identity, and my personal aspirations to comply with what I had been taught was god’s plan for me. Actual “me” was erased and replaced. Twenty-five years later, when my marriage ended, my status slipped even lower as my “married” label was swapped for a new one: “Sister Divorced-now-on-the-hunt-for-a-new-spouse-don’t-let-her-near-your-husband-and-don’t-give-her-any-meaningful-responsibility-and-for-heaven’s-sake-don’t-let-her-speak-in-public.” The disproportionate representation of women’s voices in the church has always been part of the Mormon landscape, but it’s not *the problem* – it’s just a manifestation of the problem. You’re absolutely right: it’s a church by men, for men. As long as the women continue to enable that reality, it won’t change. Raise your voices, sisters. Thanks for sharing, Mormonish. You’re absolutely right that the checkc has no idea what to do with a woman who is not attached to a man. Well said, ElleK. I’m glad you raised the issue with your bishopric and that things moved a little. Like you say at the end, though, the LDS Church really is a church that’s by and for men. It’s no surprise that the Church won’t move on big issues like ordaining women that would require rethinking of so many other related issues. But when it’s so difficult to move on even much smaller things like this that require no doctrinal change or even hint of doctrinal change, and have the added benefit of being completely under local control, it does suggest pretty strongly that as long as it’s only men running things, women will be at best an afterthought. And often, women won’t be thought of at all. I remember when I had the sad realization that men could speak to and over women, but women never had an authority with men. Men always gave the keynote talk and had the most time in Sacrament meetings. Priesthood leaders regularly visited RS and YW clases to give lessons. We always had priesthood leaders at girls camp. The keynote speaker in the general YW/RS conferences (I guess it’s just called women’s session now?) have always been men. I remember noticing this at 12 or 13 and wondering if women were ever asked to speak in male/priesthood spaces. I quickly learned that no, this never happened. I always wondered why and tried to find a palatable reason. Why can men speak to women but women can’t speak to men? At the end of the day, it’s because men preside and their voices are more valuable and hold more authority. We have to learn from them but they do not have to learn from us. I am embarrassed to admit I didn’t notice until my late 20’s. I am embarrassed to admit I was in my early 30’s before I realized it was wrong. Annon: Isn’t it a shame that you feel ashamed for not understanding how shameful it is to live in and be controlled by a culture based on shaming? It’s not your fault. Be happy that you know the difference now and rejoice in the opportunities you have to help others learn to see with open eyes. All you have to do is live your free and unfettered life. Those who are ready will notice. No evangelism required. Peace. I agree completely! I had a very upsetting moment one Sunday evening, when after spending my entire Sunday busy with RS Presidency duties, I realized that the RS is not the oldest women’s organization. It can’t be when men are “presiding” over it. The RS is a mens organization with men deciding the budget, the presidency, the teachers, the chorister, the pianist …and if you get a really overbearing bishop or bishopric member he will even go as far as micromanaging the RS Enrichment classes. After this dawning of my feminist awakening, I began to notice just how rarely my voice was wanted let alone heard by the men holding leadership positions to the Aaronic holder sitting in the pew. There was plenty of patronizing patting on the head ment to placate me. There were lots of handshakes, smiles, and “thanks for bringing that to my attention” with little to nothing done to make changes to help the sisters in the ward. Eventually, I gave up. I realized the lack of value for my voice and my perspective within the mormon church. I am currently, happily attending a congregation with a female pastor. Not only do the men in the congregation listen intently to what she has to say, they actively listen to the women within the congregation. For the first several months of my going to this congregation, I cried. I cried because I was healing from a lifetime of spiritual neglect. I cried for the beauty of a women’s voice speaking with complete authority. When I look at the stand of my new congregation, I see a representation of the femine divine. And its beautiful. And so I cry tears of joy, tears of healing, tears of sadness for my sisters whose voices are not heard, tears of hope that someday they will be.